The North Wales Jamaica Society (NWJS) is a friendship group that welcomes anyone who has an interest in or links with Jamaica. 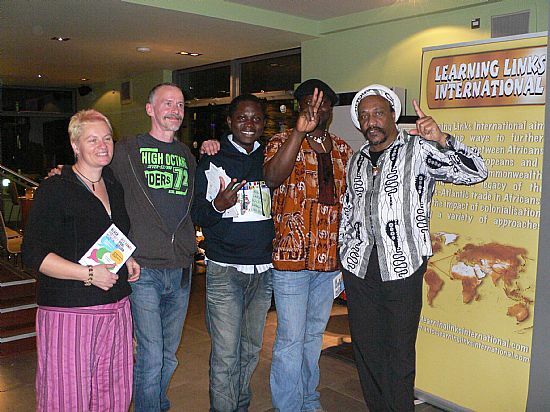 The NWJS was set up in 2011 with support from Jamaican Dub Poet, Yasus Afari. 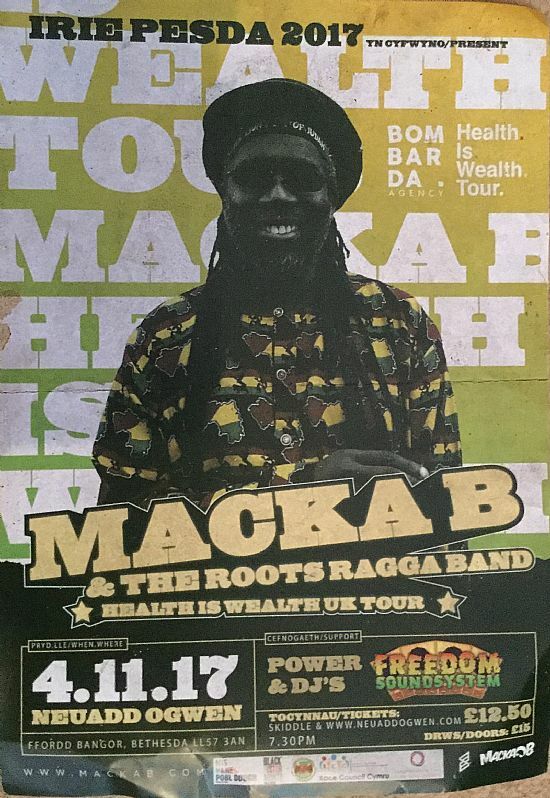 Since then a wide range of activities have been undertaken mainly focussed on supporting Black History Month activities. In 2016 members of NWJS joined a group in Jamaica exploring the possibilities of developing more links between Jamaica and Wales and the Jamaican Wales Alliance (JWA) was created as a project. 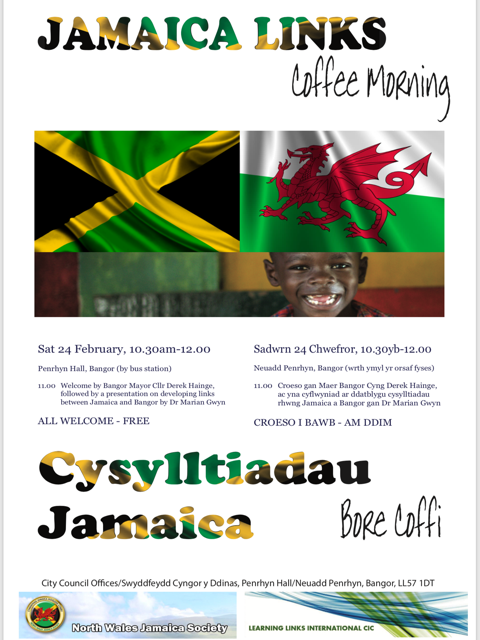 The JWA is supported by Learning Links International in partnership with a range of organisations including the North Wales Jamaica Society. 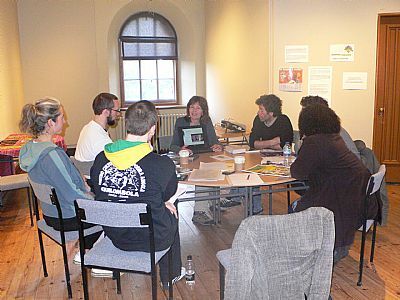 The NWJS is active in supporting the development of links between May Pen and Bangor, and is one of the organisations supporting the Pennants Project. In August 2018 His Excellency Seth George Ramocan and his wife, Dr Lola Ramocan, accepted an invitation to tour Wales. 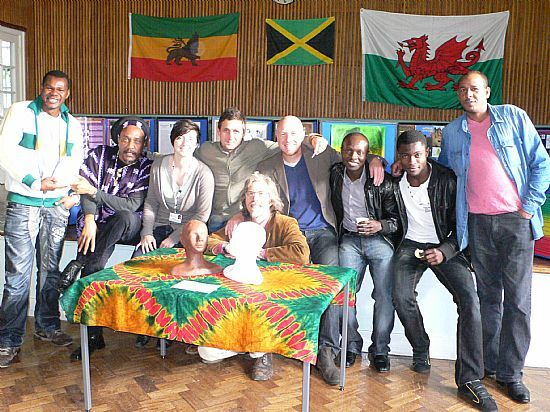 The North Wales Jamaica Society managed his visit to Bangor and the Denbigh Show, which included visiting Bangor University and Archives, and Penrhyn Castle, followed by a Civic Reception held at Penrhyn Hall. On Friday 22nd June NWJS held an important event in Penrhyn Hall, Bangor, to recognise the 70th Anniversary of the landing of Empire Windrush. The event was held in the morning and was well attended, with Mary Stennett as Guest of Honour, remembering her late husband, Jamaican, Enrico Stennett, and his lifelong committment to fighting for equality and justice. Great event held on Sat 4th November 2017 at Neuadd Ogwen in Bethesda. Please check www.bhmnw.com for information about NWJS involvement in Black History events. 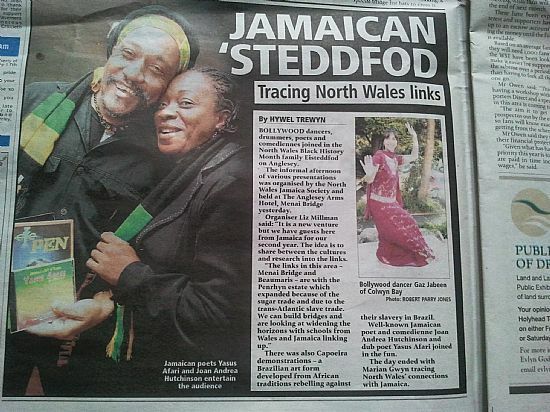 For example: the North Wales Jamaica Society hosted the BHM Launch on Monday 1st October 2012 the event was held at Penrhyn Castle with special guests Christine Dale from the Jamaican High Commission and Yasus Afari, Jamaica Dub Poet. 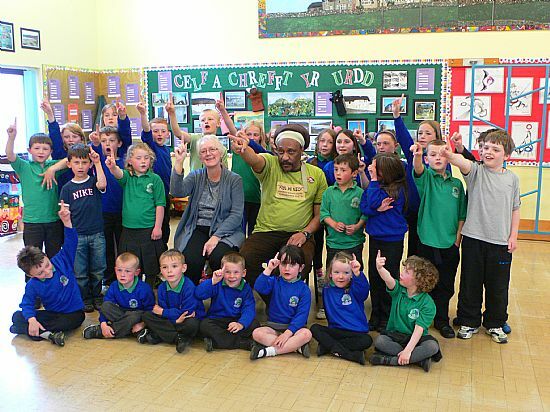 Yasus Afari and Joan Andrea Hutchinson brought Jamaica to Menai Bridge to celebrate Black History Month. Marian Gwyn speaker at the Teaching Black History Session.